Congratulations to Mary P., Janet K. and Maureen C. the winners of Susan's giveaway. Thank you to all who participated. I’m very excited to be here to announce the release of my new novel, TRUE blue! 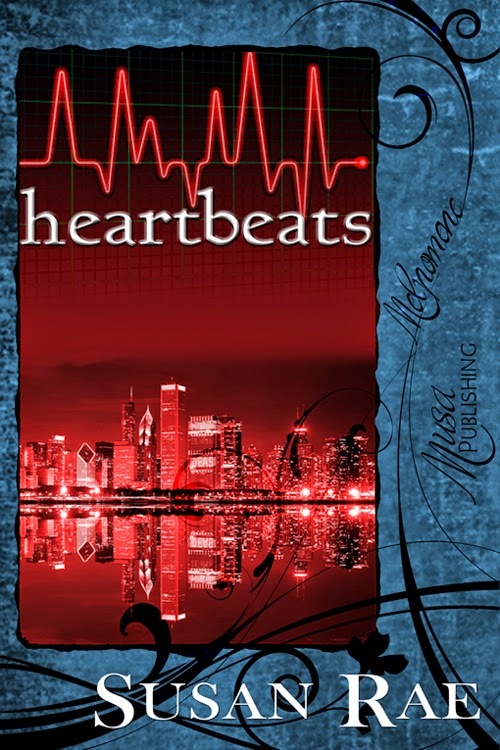 When I wrote heartbeats, my only goal was to write the best darn romantic suspense novel I could and get it published. I had no idea at the time that it would be the beginning of a series. I was thrilled when it was accepted for publication. I was even more thrilled when it was nominated for an RWA Golden Heart Award for best Romantic Suspense as well as winning Best First Book by First Coast RWA. When heartbeats was released, I realized I had a great family of characters to draw from for another novel. I remembered that one of the DeLuca siblings was a paramedic, but I had to search my own novel for her name, Angela. Give her a tough persona with a heart of gold, throw in an ICE agent with a difficult case to solve, and I had the jumping off point for ICE blue. Around the same time that I was getting familiar with ICE blue’s plot, an idea began to gel for what would become the third book in the series, TRUE blue. 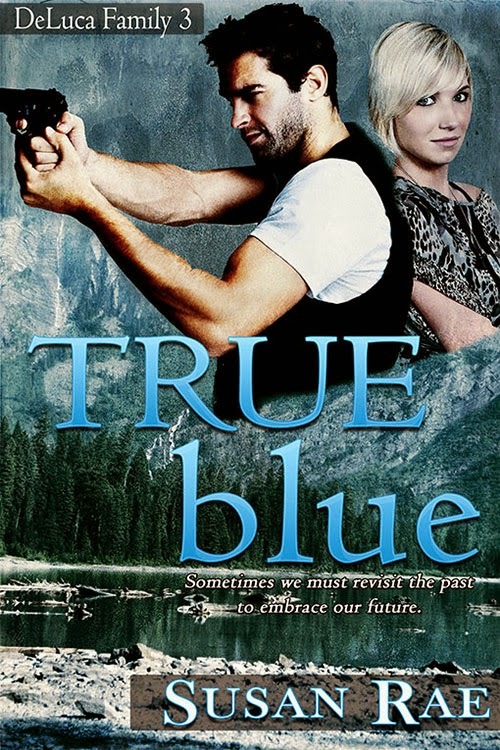 TRUE blue is not your typical romantic suspense. I had created the characters of Andi and Joey DeLuca in heartbeats. Both are key figures in the investigations in the first two novels. However, they are also married--to each other. Joey is the oldest of the DeLuca siblings. He followed in his father’s footsteps and is now a Lieutenant Detective on the Chicago Police Department. Andi is a tough hitting detective in her own right. But married? Could I write a romantic suspense with a married couple as the main characters? Sure, I thought, why not. I like a good challenge. Most romance stories end in “I do.” But I thought it would be fun to explore what happens after the “Happily Ever After.” What if we checked in seven years later? In TRUE blue, I explore how two police officers with very demanding careers and a four-year-old son keep the fires burning in this frenzied, mixed-up world we all live in. Add to that a childhood flame returned to town and a twenty-four year old murder mystery, shake well, and, yes, the sparks begin to fly. I truly enjoyed writing TRUE blue and telling Joey and Andi’s story. I think you’ll enjoy it too. I believe there’s plenty of mystery, suspense, and drama in the DeLuca Family to keep you turning the pages. Hopefully, you’ll agree. Thank you for spending this time with me. Oh, and one more thing…in celebration of TRUE blue’s release, heartbeats: DeLuca Family 1 is $.99 in May at all major eBook retailers. Only three days left to get your copy at the sale price! Do have a favorite married couple sleuth team or a favorite series? I’d love to hear what they are. Please leave a comment below and you will be entered into a drawing for one of three free eBooks of ICE blue: Family DeLuca 2! I love writing romantic suspense because it allows me to combine a steamy love story with a gritty suspense tale—in my opinion, the best of both words. When I’m not writing, you might find me smacking a golf ball around the course while working out a pesky plot point; or traveling around the country with my husband and empty nest puppies, Ginger and Nikute, seeking out new settings for my novels. For more information on my books and the writing life, please visit my blog/website: www.susanrae.com. Giveaway ends 11:59pm EST May 29th. Please supply your email in the post. You may use spaces or full text for security. (ex. jsmith at gmail dot com) If you do not wish to supply your email, or have trouble posting, please email maureen@justromanticsuspense.com with a subject title of JRS GIVEAWAY to be entered in the current giveaway. They are not quite married yet but Castle is a favorite show of mine. Eve Dallas and Roarke. My most favorite sleuthing couple from the In Death series by J. D. Robb. Eve and Roark are a good combination but my favorite is Sam and Nick in Marie Force's Fatal series. She's a detective, he's a United States Senator. He always ends up embroiled in her cases. Yes, all three couples are definitely engaging and fun to watch/read! No, I don't have a favorite either. This series sounds fantastic. The television series Castle (I just watched one last night). Oh, and, congratulations on your new novel! Thanks, Janice! It's nice to meet you, too.